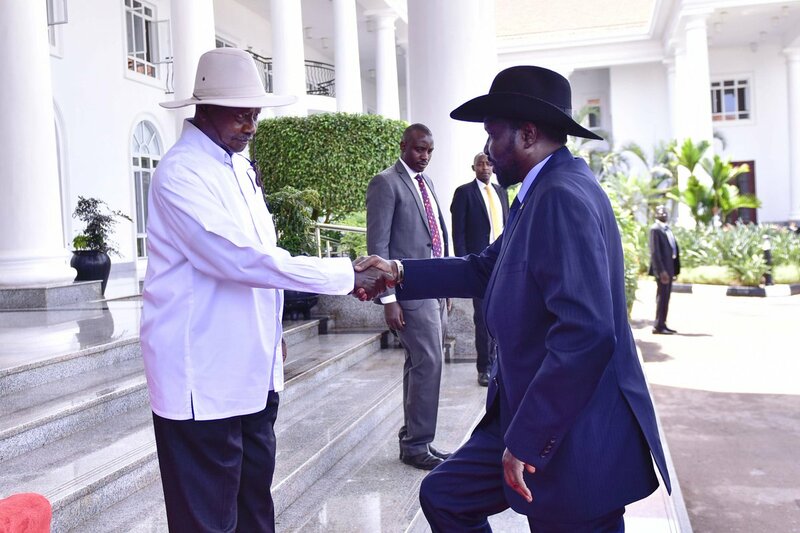 ENTEBBE – President Yoweri Museveni and his South Sudan counterpart, President Salva Kiir, have Thursday 4 held a private meeting to explore ways of how best to address the current instability in South Sudan. President Kiir who was on a one-day official visit to Uganda briefed his host on the progress of implementation of the South Sudan peace agreement. Mr. Kiir expressed happiness to note that the situation in his country of South Sudan has improved tremendously in spite of the few challenges menacing challenges especially border rows and the negative media reports. Shortly after the meeting, a tweet from the President’s office confirmed that despite a few challenges, there is progress in the implantation. “I have met His Excellency, Salva Kiir this morning at State House Entebbe. He briefed me on the progress of implementation of the South Sudan peace agreement,” a reads the tweet. 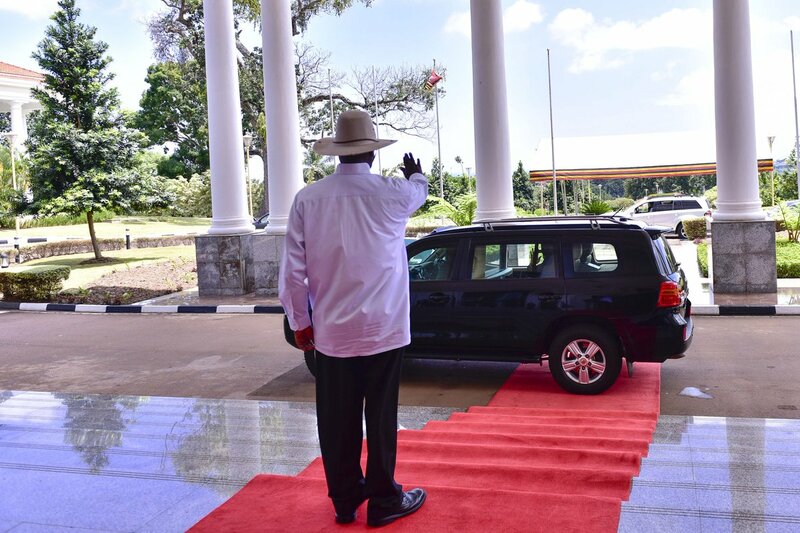 The statement also indicated that Mr. Museveni urged all parties to work towards peace and stability. The peace talks between the two leaders were called by the Inter-Government Authority on Development (IGAD) leaders, the seven-member regional bloc that has been facilitating the South Sudan peace talks since fighting first broke out in December 2013. 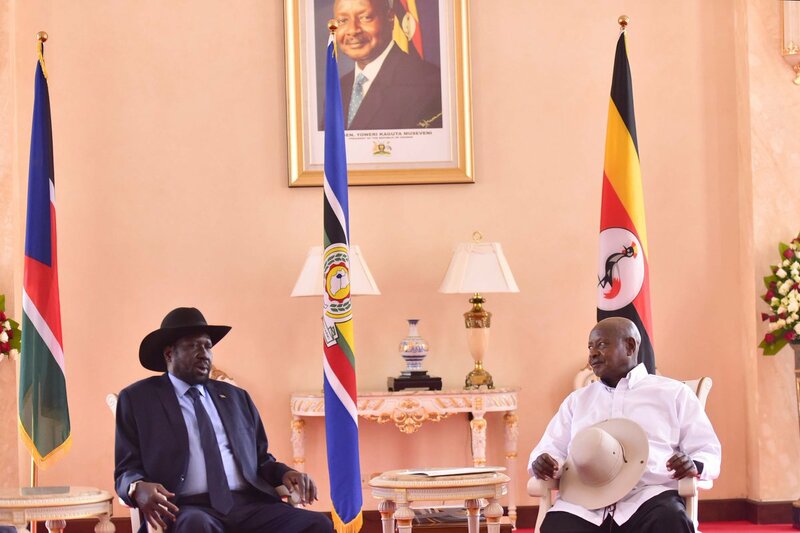 President Museveni at the end of the last discussion in Khartoum pledged to support the efforts to reach a peaceful settlement for South Sudan’s crises, expressing hope that the talks managed to achieve positive results. South Sudanese political analyst Andreas M. Mabior recently said he has faith in the current peace deal. The Government says it is ready to organize voluntary repatriation with support from the United Nations.